Address: M/F, 380 Lai Chi Kok Road, Shamshuipo, Kowloon, HK. We have over 30 years professional experience in manufacture, wholesale, import and export various kinds of clothing accessories such as tapes, cords, ribbon, ribbon bow, elastic webbing, staff straps etc. Design or samples offer by local & overseas buyers are welcome for enquiries. Thank you very much for your kind attention! Please feel free to contact us with further inquiries. 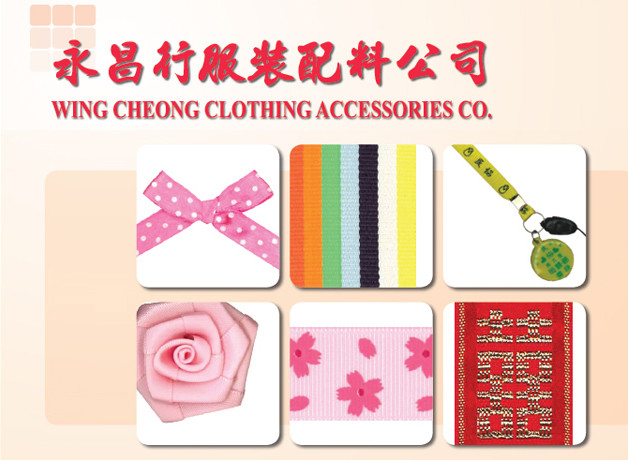 Copyright @ Wing Cheong Gift Packaging Accessories Co. & Wing Cheong Clothing Accessories Co. All Right Reserved.